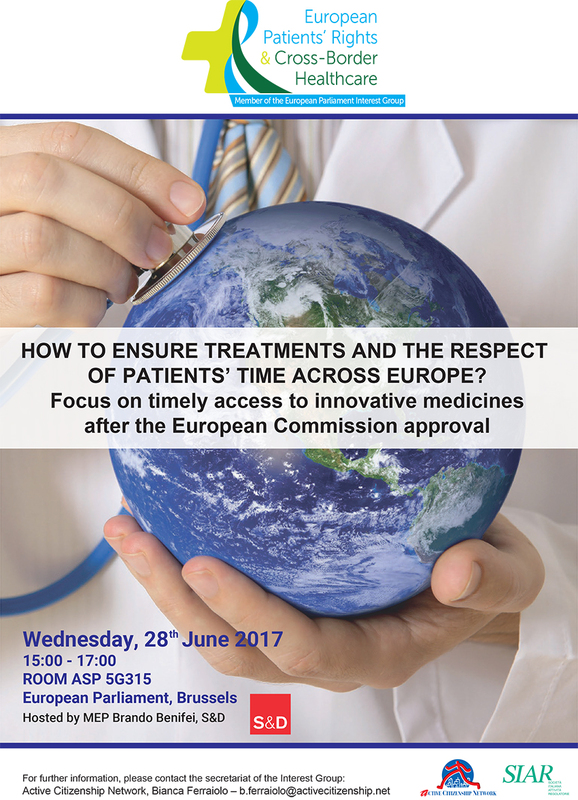 As stated in the 7th right of the European Charter of Patients’ Rights, each individual has the right to receive necessary treatment within a swift and predetermined period of time and this right applies at each phase of the treatment. At this time the process for Marketing Authorization (MA) consists of a set of steps and procedures to ensure the drug safety and the safeguard of citizens' health. The current rules tend to seek a balance between the protection of health and the need to give quick answers to patients who often are in urgent need to treat severe conditions. Unfortunately, this collides with approval and reimbursement times that sometimes are very, if not even too, long. Almost all the innovative and important drugs follow the centralized procedure to obtain marketing authorization (necessary time: about one year). After that starts the price-setting procedure for reimbursement, which can last more than an additional year. Thus, depending on the institutional framework of each Member State, citizens can then rely on the actual availability of an authorized drug only after a reasonably long period. In March 2014, the EMA has proposed a first solution to speed up patient access to new medicines, identifying the adaptive pathways. The approach, formerly known as "adaptive licensing", is a process which provides the early authorization of an innovative drug for a targeted subgroup of patients and its subsequent expansion depending on the evidence gathered. This approach speeds up access and strengthens the collaboration between all those involved in the life cycle of the drug, but at the same time, pushes patients to accept a higher level of uncertainty and risk. Then, in March 2016, EMA has launched the "PRIME" program (PRIority MEdicines) which provides for the acceleration of the drugs regulatory path, supporting companies (including academic start-ups) and reducing evaluation times (50 days instead of 210). This new procedure will focus on the development of drugs considered priorities, which can offer great advantages over existing treatments or provide an opportunity to patients with no other treatment options. However, this process relates to the centralized procedure for the marketing authorization by the European Commission but not the procedures for defining pricing and reimbursement, which depends on each Member State. 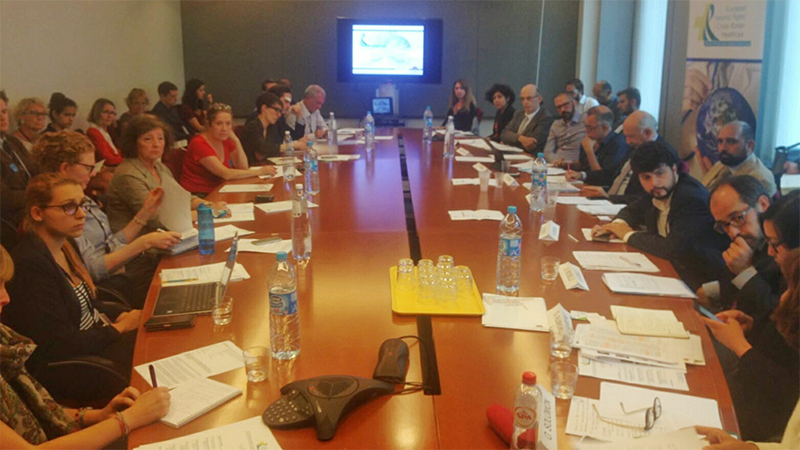 The meeting, hosted by MEP Brando Benifei (S&D Group), has been organized by Active Citizenship Network in partnership with SIAR, the Italian Society for Regulatory Activities and intended to be a first follow-up step of the last European Patients’ Rights Day. It aimed to stimulate, through a high level debate, the European issue on access to medicines and sustainability of healthcare systems, promoting a reflection on all possible options to ensure a more rapid real access to innovative medicines and strengthening the specific knowledge on the topic within patient organizations, for a more effective advocacy towards national Regulators, Ministries of health, etc.